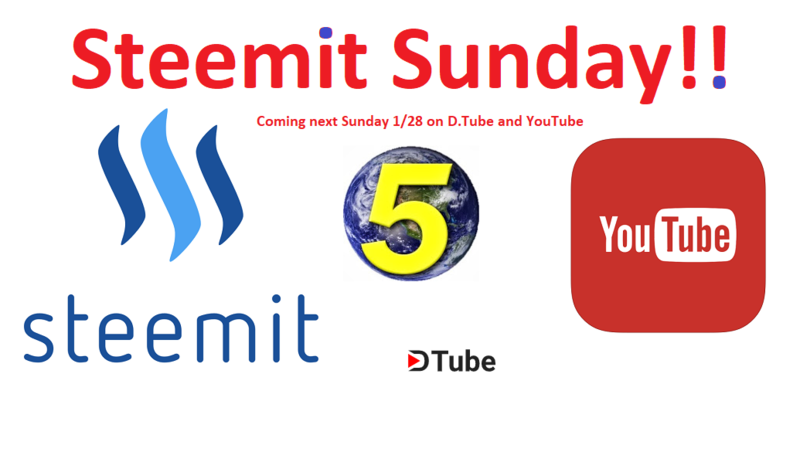 Steemit Sunday - Promoting Dtube and Steemit to 800.000+ Subs on YouTube! As some of you might know, I was given the honor of being invited on the mspwaves radio show on discord last weekend, hosted by @aggroed. And I wasn’t the only one! Last weekend’s large panel consisted of a wide variety of Steemians with different backgrounds. Some established, some new, some gardeners, 2 fitness gurus, a big Dtube influencer, a Canadian, a German, a few Americans, you name it! A super diversified panel with one goal in common: Gathering a sizable following on Steemit and helping the platform grow in the process. As mentioned in last weeks post, it feels a little lame to jump back on board with the price of Steem and SBD soaring, but I feel like as long as I can not only reap the rewards but can also contribute to growing the platform, there is nothing to be ashamed of! I have been talking about converting YouTubers ever since I joined this platform 7 months ago and I haven’t been able to follow through just yet. I got a little demotivated with the highly fluctuating earnings and kinda lost interest for a little while. Obviously that was a mistake because Steemit is also an investment: had I buckled down and put in the work then I would have had a much more established profile on the platform today. Back to last week's panel on mspwaves and the inspiration that it gave me. The reason that I was invited on to the show was of course my YouTube background. Being the owner of the World5list channel, I have always wondered: “How will I be able to “convert” some of my 800.000 + subscribers to Steemit and/or Dtube?” I already had a few ideas lined up before going on the show and I wouldn’t say that these other folks on the panel gave me more ideas directly, but being a part of the panel and hearing about everybody’s background and plans definitely inspired me to come up with more ideas. Starting with………… Steemit SUNDAY! One of the most exciting things about this project for me personally is that I will be able to touch topics again with my YouTube channel that I am personally interested in, without having to worry about being financially on the hook for the whole production because YouTube doesn’t monetise a lot of these topics that I think our audience will enjoy learning about. The first video that is in the works right now for instance will be about evil high ranking females during the nazi reign. Hopefully this idea, along with other future plans, will allow me to give back to Steemit, while growing the World5list brand on different platforms. 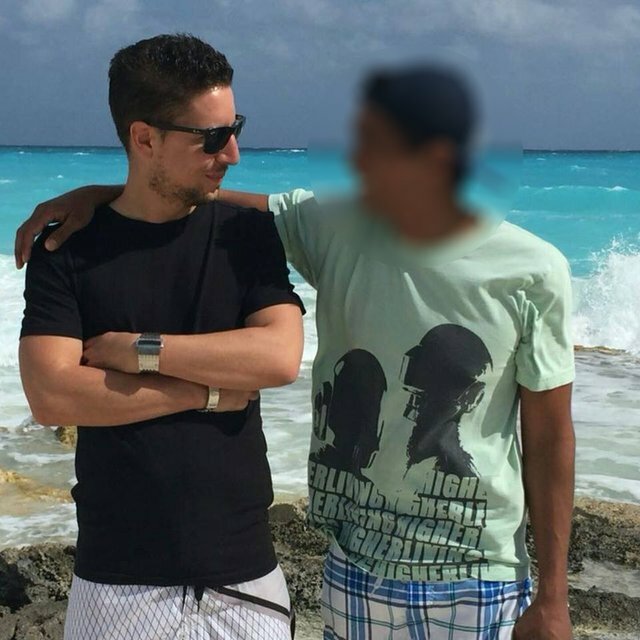 Recognize my mystery friend who will be doing Steemit Saturday...? I would be very interested in watching a Dtube vid on the evil high ranking females Nazis! I just followed you because of that line, LOL! As for converting Youtubers to Dtube, i'd say Youtube is already doing that themselves with their demonetization. thank you for promoting steemit. We need people like you! Hurray on your efforts to post on Dtube! Great move! Hey world5list, great ideas! With Youtube becoming so strict it's great that we have Steemit and I am spreading the word about Steemit to everyone I know. I will Follow, Upvote and Resteem you after this comment. Here's wishing you all the best to you and yours in 2018! René thanks a lot for your efforts. I am just a small minnow but will try to help support as much as I can. Hope you do a great shift to Dtube from Youtube bringing a lot of viewers with you :D I wish you guys a happy weekend. Also @aggroed and @world5list , Basic Attention Token expanded so that Youtube content creators can earn BAT rewards. It could be a good idea to contact BAT and discuss about D-tube. I think it would be good publicity for both Steem and BAT. Also D-tubers can make extra earnings from BAT. Maybe people can even add funds to their BAT accounts using Steem. @world5list good information.excellent post. Good stuff my man, love the style mash ups, it really worked well! ohh really.it's a great news.thanks for sharing with us.good job. keep it up. Awesome! I'm really excited by this announcement! This is just too awesome post. But i have one question,I think it is difficult for a new one to get upvote and follower on steemit.